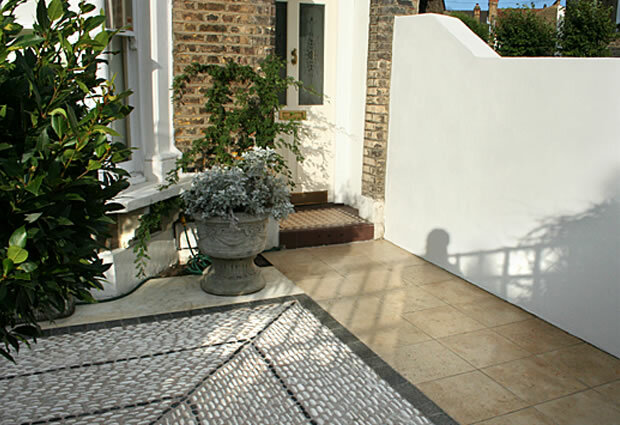 My client was walking down Crystal Palace Road one day in East Dulwich and saw a garden that she said was “simply marvellous”. 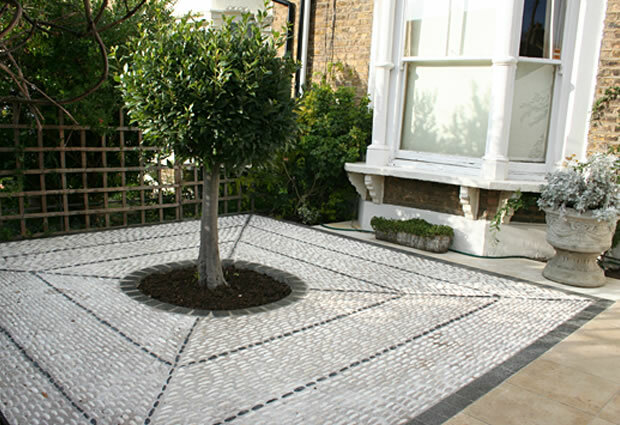 This inspired her to commission a design for her East Dulwich front garden. As always it’s a great pleasure to have your work recognized and liked, it is the ultimate reward and compliment. 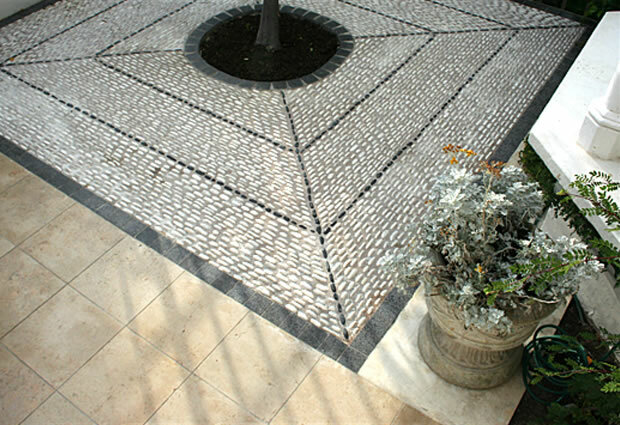 We had been experimenting with large format mosaic pebble design, set in a geometric framework, a contemporary arts and crafts you could say. The linear formal qualities of the design and the abstract mosaic flavour really worked well together. 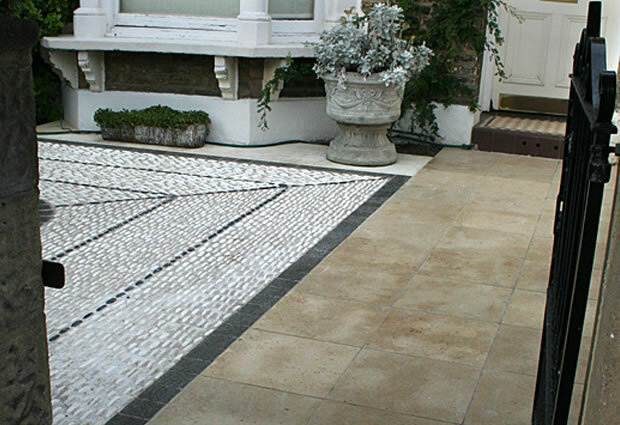 There is a lot of design work that goes into creating and configuring these mosaic terraces. The choice of pebbles has to be just right and in sync with what you are trying to create. 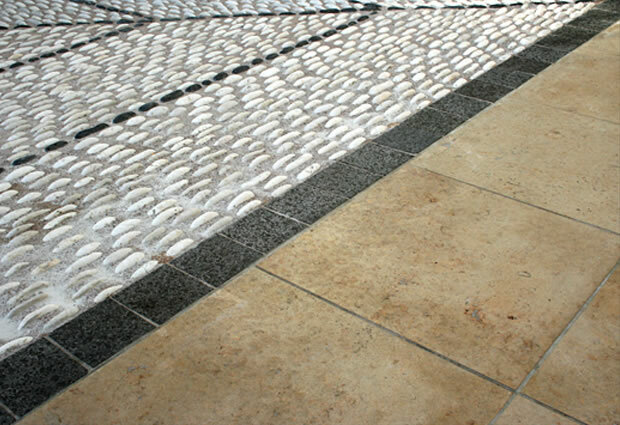 We searched and found a fantastic mortar medium and grouting topcoat which gives great strength durability allowing to work with small pebble on edge and flat creating fine detail, which in turn allows you to experiment and do finer work. Black limestone setts frame the piece complimenting the black chinese pebbles along side the Jura Limestone pathway.